GemTree was found in 1992,manufacturing fiber reinforced composite materials for the worldwide building and construction industry. From that beginning and with the aim of building a reputation for excellence in our products,we established a culture of research and development to carry us forward into the future. 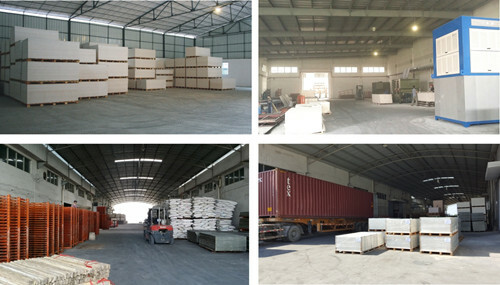 Since Gemtree inception in 2003,we have felt the need to bring in the benefits of an environmental building board,that is environmentally friendly.Our company has driven the concept of marrying product benefits with environmental responsibility,such as low-carbon emission,energy efficiency and environmental protection. HongKong Gemtree research studio has introduced nano-modification technology,combined with magnesium processing technology from Taiwan D&C,specializes in production of high quality,high strength,composite non-combustible building decorative materials,which currentky include 7 series:walls and ceilings,non-combustible decorative board,fireproof and water resistant furniture board,loadbearing flooring,waterproof washroom partitions,modular house panel and fire retardant composite board. Actively engaged in research and the production of water-resistant and fire-proof environmentally friendly composite magnesium board,Gemtree has created a leading brand of multi-functional board.With brand creation,innovation and environmental concern as its core competencie,Gemtree was awarded ‘The Trusted Brand of China’.Gemtree is one of the draftees of the China National Standards for ‘Magnesium Oxide Board’. Gemtree’s ISO9000 management system benefits our product authentications like CE,CODEMARK etc.Premising our production on ISO14000,Gemtree R&D program had paid off and we were able to bring our expertise to bear on an environmentally friendly product that complemented our company’s commitment to protecting the environment technology,management, talents,training and QC make superior quality of the products without any quality problems until now. <?xml:namespace prefix = v ns = "urn:schemas-microsoft-com:vml" /> For more information,please click URL.